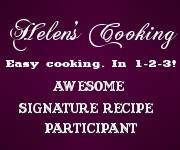 You are browsing the archive for Helen’s Cooking. Easy cooking in 1-2-3! | Blog about healthy and easy to cook food.